Toyota pulled the wraps off a 2020 RAV4 TRD Off-Road model at the Chicago Auto Show this week. With this unveiling, the Toyota RAV4 sport utility joins the TRD Off-Road team of seriously ‘outback capable’ trucks and SUV’s that includes the Sequoia and 4 Runner SUVs and Tundra and Tacoma pickup trucks. The RAV4 TRD Off-Road builds from the RAV4 Adventure model adding suspension, wheels and tires engineered for serious trail driving. RAV4 TRD Off-Road is powered by the Dynamic Force 2.5L four-cylinder engine that produces 203 horsepower. It is mated to an 8-speed Direct Shift Automatic Transmission with SPORT, NORMAL and ECO Drive Modes. 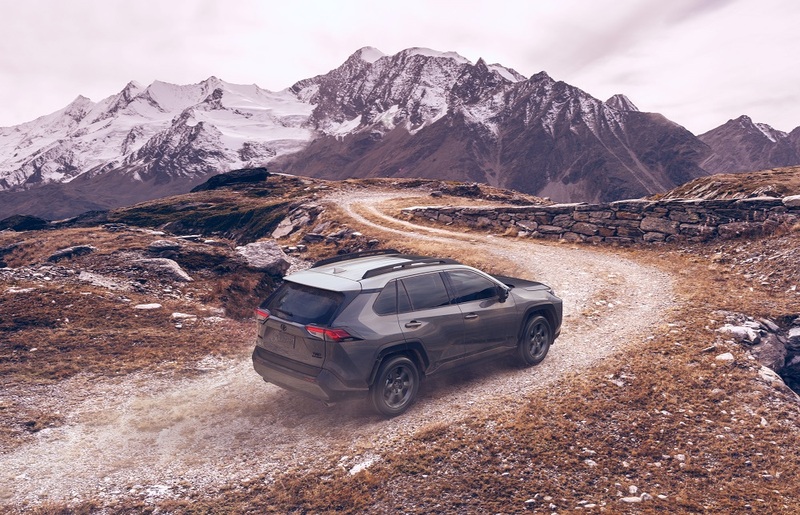 The standard Dynamic Torque Vectoring All-Wheel Drive on the RAV4 Off-Road can direct up to 50 percent of torque to the rear wheels, as well as, to the left or right rear wheels for enhanced handling on or off the road. The system has Rear Driveline Disconnect for optimal fuel economy while driving on the highway. Multi-Terrain Select is also standard on RAV4 Off-Road. It allows the driver to match the drive mode to the off-road conditions. Selections include Mud & Sand, Rock & Dirt and Snow. A Multi-Information Display shows torque application, slip control data and more for driver control. The 2020 RAV4 Off-Road is also equipped with Hill Start Assist, Trailer Sway Control and Downhill Assist Control. 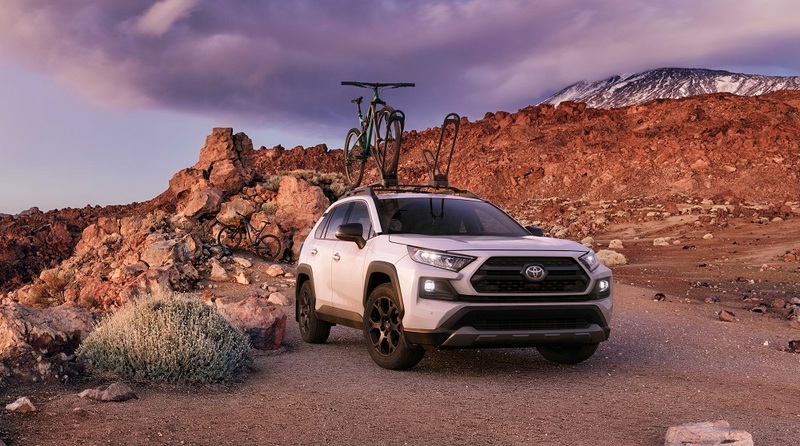 And, if you need to bring extra gear along like small watercraft and dirt bikes, the RAV4 Off-Road – when properly equipped – can tow up to 3,500 pounds. The TRD Off-Road suspension is engineered and then tuned for meeting the challenges of smooth ride in town and capable handling off-road. Unique features include tuned red coil springs and twin-tube shocks with new internal rebound springs for added control in extreme conditions. 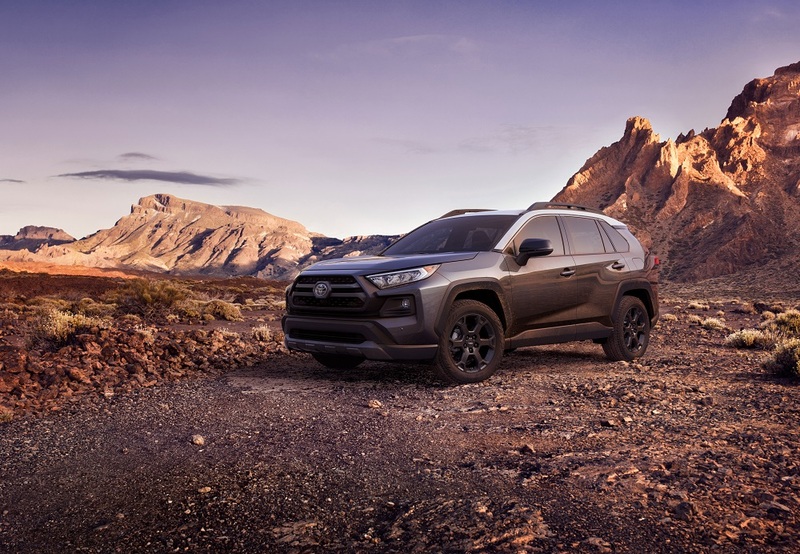 The 2020 RAV4 TRD Off-Road features flow-formed 18 x 7-inch matte black TRD alloy wheels mounted with Falken Wildpeak A/T Trail all-terrain tires. Specially engineered with input from Toyota, they feature a tread pattern and compounds best suited for the off-road. They are Severe Snow Rated with a rugged shoulder design with open grooving to shed snow and mud on the trail. 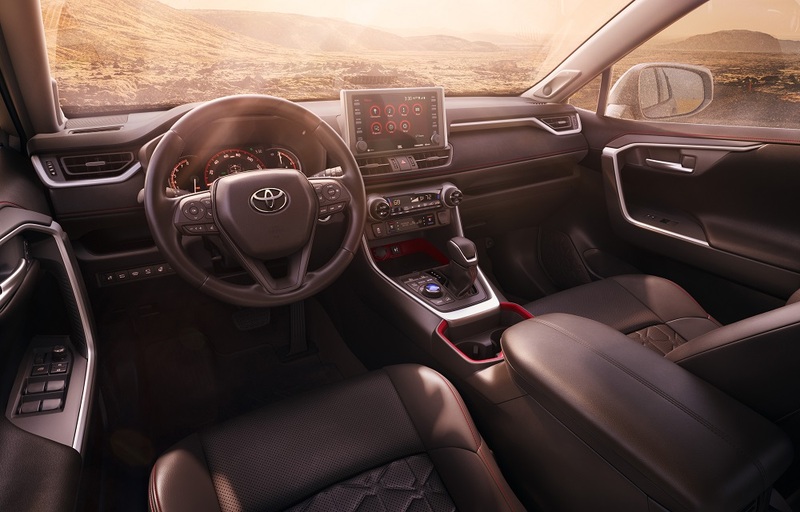 The interior of the 2020 RAV4 Off-Road gets the ‘TRD’ treatment with bold red stitching and accents throughout the cabin. Seat surfaces feature Softex fabric for added comfort. Front seat headrests have a bold ‘TRD’ and exclusive TRD all-weather mats protect the floors from the elements. Toyota Safety Sense (TSS 2.0) is standard on the 2020 RAV4 Off-Road. As with all Toyota vehicles, it features Pre-Collison with Pedestrian Detection, Full-Speed Dynamic Radar Cruise Control, Lane Departure Alert with Steering Assist, Automatic High Beams plus Lane Tracing and Road Sign Assist. Additionally, it includes Blind Spot Monitor with Rear Cross Traffic Alert and Rear Cross Traffic Braking. 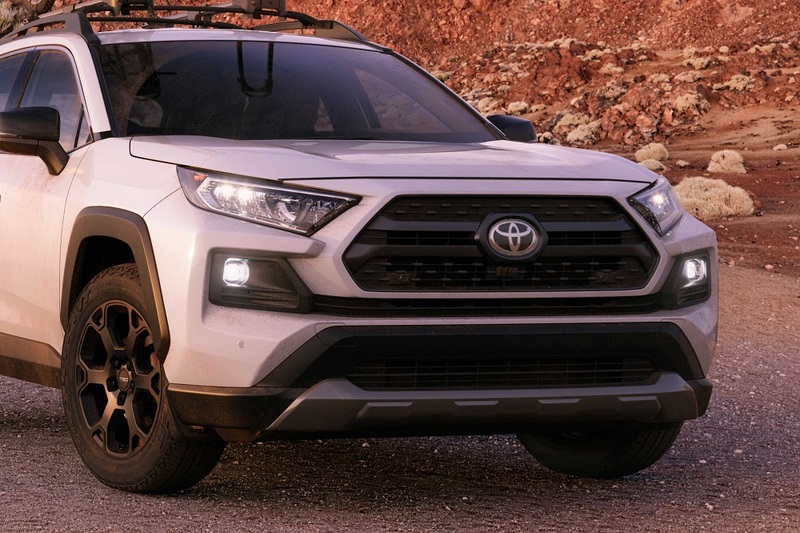 The 2020 Toyota RAV4 TRD Off-Road will be available in dealerships this Fall. Pricing and other detail will be available closer to launch.